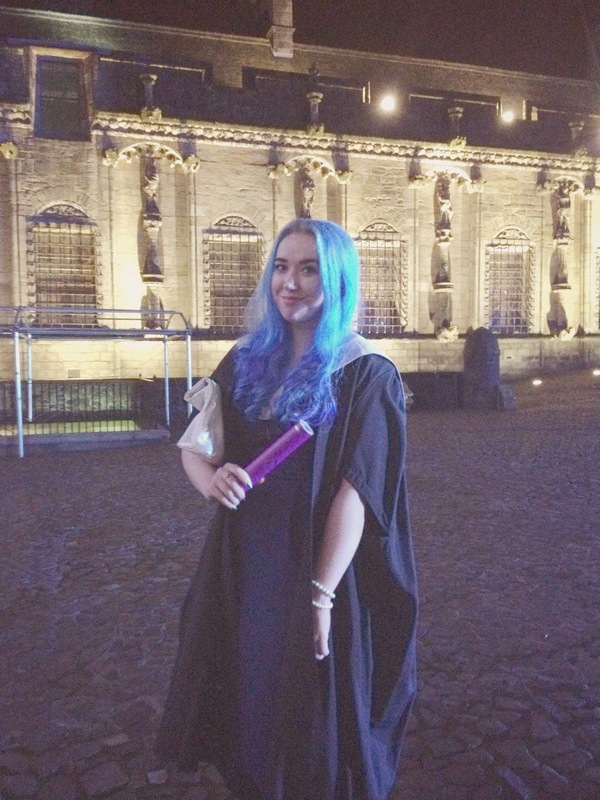 It's been one of the most talked about topics on my blog and earlier this week after three years of hard slog and working I graduated with a BA in Media and Communications with Distinction. This week has been another pretty hectic one, even though I've just graduated I'm currently studying my Honours year at the University of Stirling so it's still all go go go! I've also been busy with lots of shifts and a few blogger events too, a highlight of the week was definitely Thursday though. It was lovely catching up with the rest of my college class and my lecturers and celebrating our hard work that we've all put in over the past few years. Thursday was easily one of the busiest days I've ever had, starting with a morning shift at work for delivery (sweaty work, as there are lots of stairs to climb with heavy boxes!) followed by a lecture at Uni, I then rushed home to get ready before a wash and blow-dry at the hairdressers. After all my rushing about my family and I all enjoyed dinner at the newly opened Hotel Colessio in Stirling, it was a great excuse to all head out for a celebratory dinner and a wee glass or two of Prosecco. Monkfish with Orzo and the grand finale Jammy Dodger Baked Alaska! YUM! 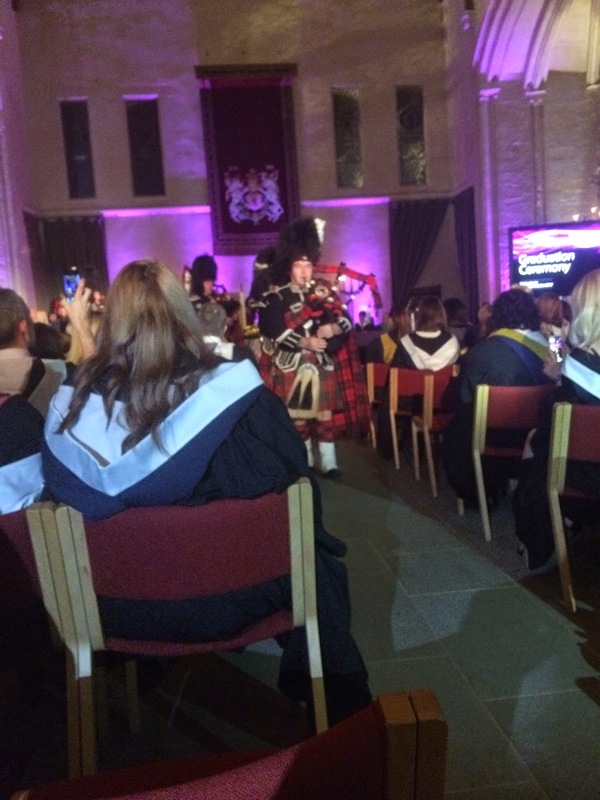 After dinner my parents and I headed to Stirling Castle for my graduation ceremony, I'm so grateful to have graduated in such beautiful historic surroundings. I'm lucky enough to live very close to the castle and visit it fairly often, but hadn't been before at night; it's truly beautiful and the views were spectacular! Add to this celebrating with my family and friends and you've truly got a night to remember. It was the perfect way to draw my time at college to a close and gets me even more excited to continue on with studies this year; it's pretty crazy that my Stirling graduation will be next June! 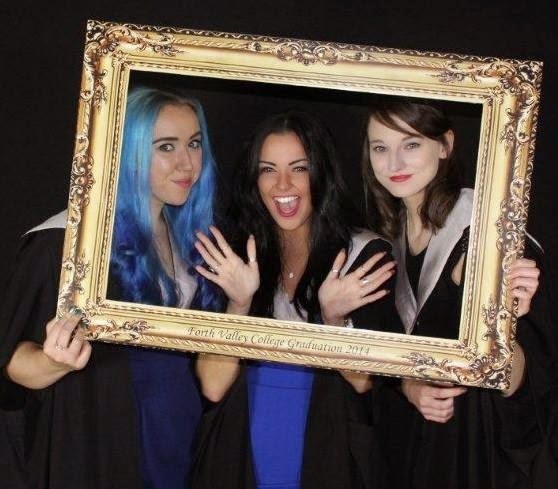 So I guess this all means you can call me a graduate now, the icing on the cake for me on the night has to be my local MP coming up to me after the ceremony to compliment my blue hair though! Definitely made me chuckle! Hope you've all had a fab week!